Home > News > EU funding programmes - EASME: Interactive map, figures and statistics - check the new environment data hub! EU funding programmes - EASME: Interactive map, figures and statistics - check the new environment data hub! The Executive Agency for SMEs (EASME) has developed an interactive tool that generates information on EU funding programmes. A dynamic map showing all the beneficiaries of the programme. The red pins indicate project coordinators, the green ones, project partners. Clicking on a pin generates information on the beneficiary and the project, which is displayed in a pane on the right side of the screen. Beneficiaries and project lists.To switch from beneficiaries to projects click on the buttons at the top right of the screen. Click on the name of a beneficiary or the acronym of a project to display more information. Statistics: on the main page the system presents the number of participants (individual companies selected for funding), the budget allocated so far and the number of projects selected for funding. 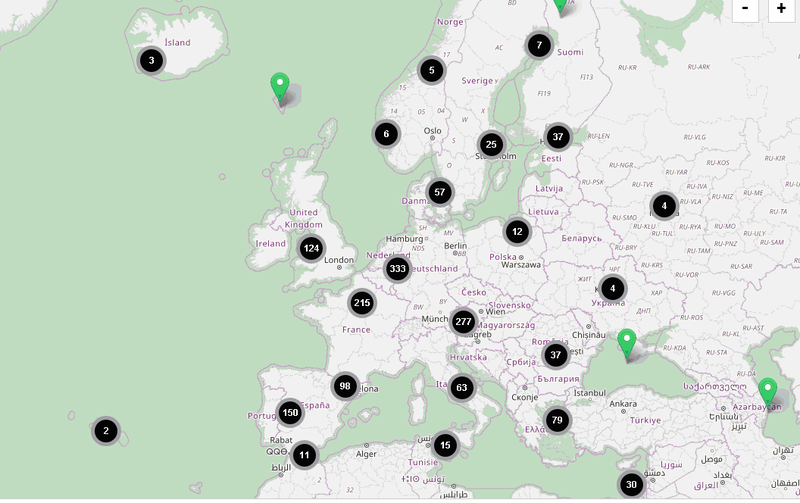 For participants to environment project funded by Horizon 2020 or those interested in potential partners or more information about projects in different fields or countries, this tool represents the new way to navigate through all this information in a dynamic and easy way: the environment data hub! With this application it is now possible to simply search and filter projects by topic (earth observation, circular economy, climate services, raw materials etc. ), country, project type, year (start or end date) and budget range. You can do this by clicking on the blue arrow on the left side of the map. Besides this, each project has a summary that includes some information about the project, the participants and a link for their website. This means that in a few clicks you'll be able to find lots of useful data! Statistics and figures are also an important feature. Click on the graphic icon on top left menu and try it for yourself. Last but not the least, you can embed the application to your website and allow your visitors to benefit from the interactive tool. For further inquires please check the data hub manual. Also more information is available here.